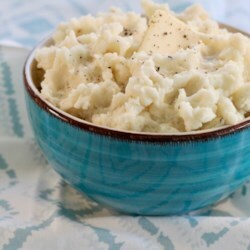 Great recipe for "good old fashioned" mashed potatoes! It's straight forward and just plain delicious. The perfect mashed potato for your favorite gravy! I always heat up my milk in the microwave and add it to the potatoes (sometimes use half n half to make them creamier). You just can't go wrong with this classic recipe for comfort food!